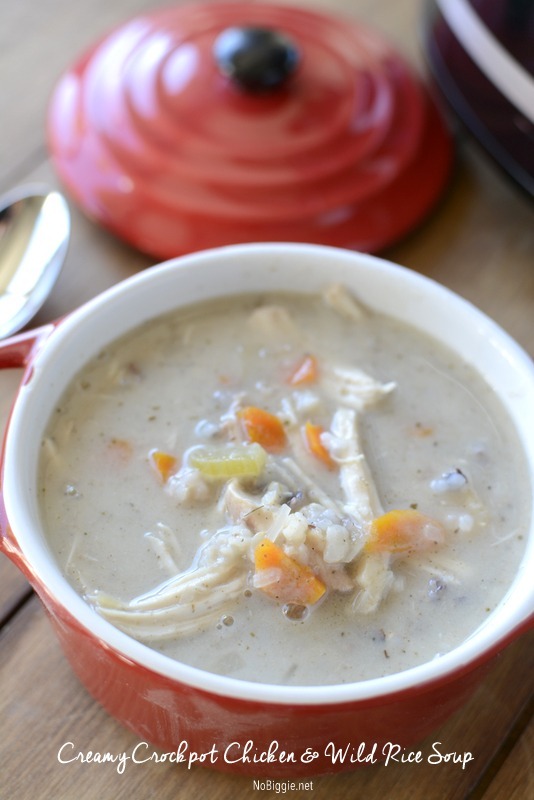 Creamy Crock Pot Chicken and Wild Rice Soup will warm you up on a chilly night. Who’s ready for cozy nights in with a big hearty bowl of homemade soup to warm you up?! 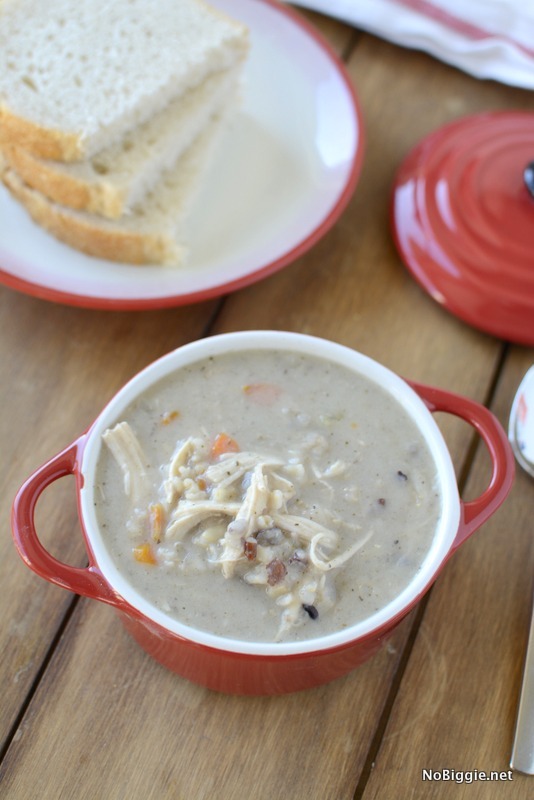 How about a soup you can make in your crock pot that will cook all day and be ready for you in the evening. Don’t you just love using your crock pot during this time of year? 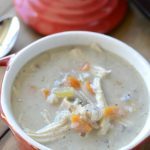 Whether you call it a slow cooker or a crock pot, this creamy crock pot chicken and wild rice soup will become a family favorite. So get out your crock pot, and let’s get cookin’. 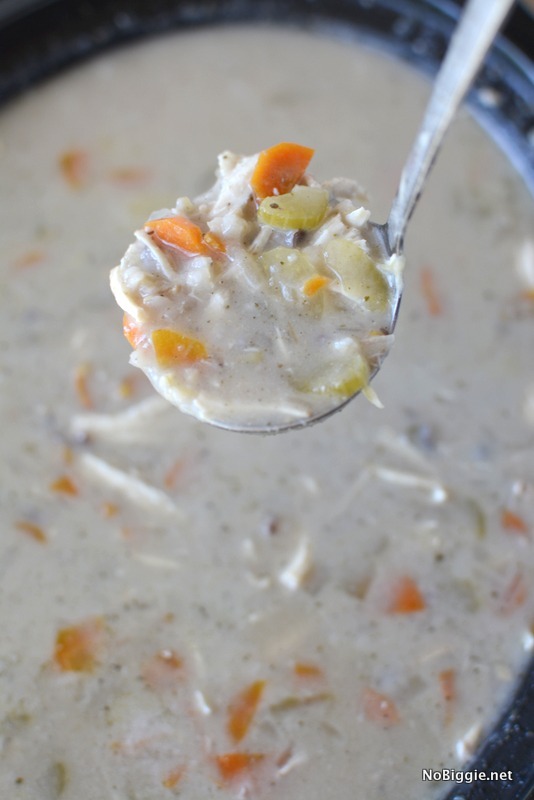 I love when soup is the main course, you can usually count on yummy lunch leftovers the next day and seconds the night of, or it can feed a crowd if you need it to. 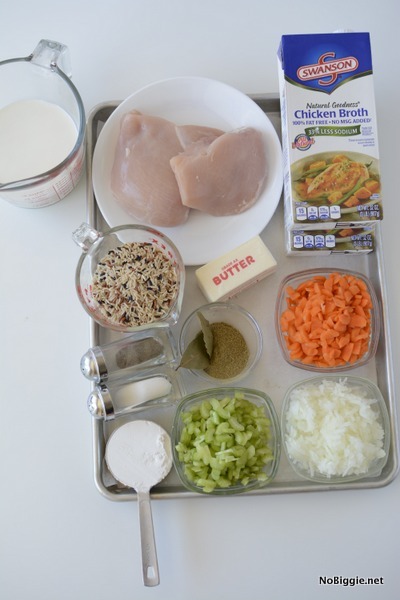 This soup thickens over time, so depending on your preference, you can add additional milk to thin it out. Here’s the ingredient lineup with the full recipe in the easy print box below. Do you have a favorite kitchen gadget?! I just LOVE this little hand held mandolin. 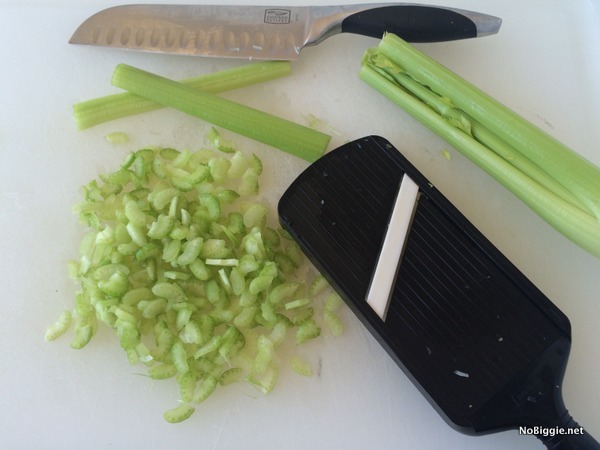 It’s my favorite for slicing vegetables super thin and super fast. I used it for the onions carrots and the celery for this recipe and it really speeds up my food prep time. 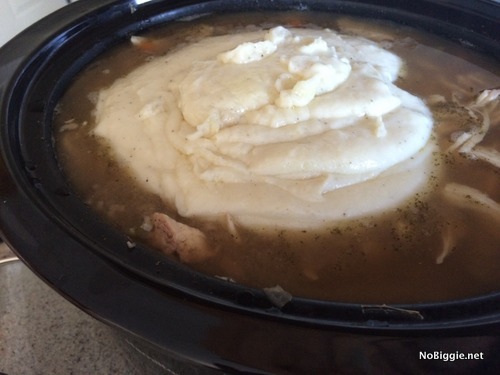 Once you get everything into the crock pot, you are good to let it simmer the day away. Rinse the rice in a bowl of water. 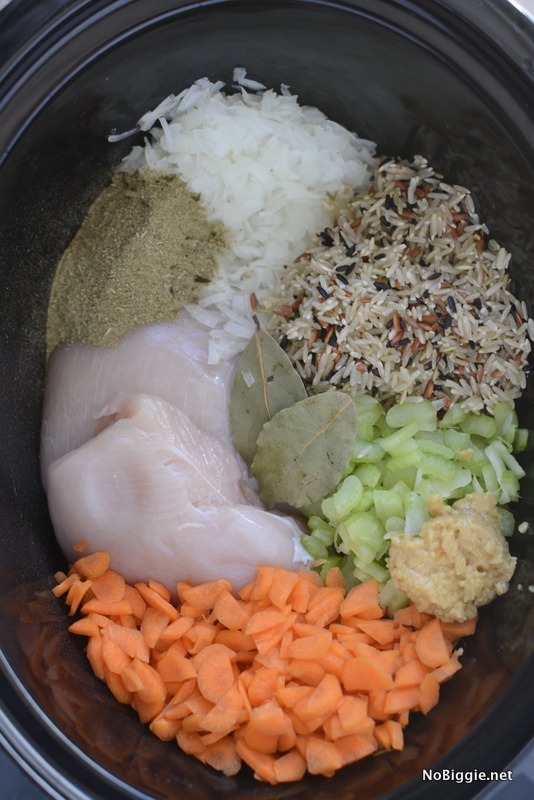 Place the uncooked rice, uncooked chicken breasts, carrots, onion, celery, garlic, bay leaves, chicken broth, water, and poultry seasoning in your crockpot. Cover and cook on the high setting for 3-4 hours or on the low setting for 7-8. Near the end of cooking time remove the chicken from the crock pot. Let the chicken cool. Shred the chicken using two forks. When the rice is done cooking, add the shredded chicken back in. Melt the butter in a saucepan. Add the flour to the butter and let the mixture cook for 1 minute. Whisk the mixture while slowly adding in the milk. Continue to whisk until all lumps are gone. Allow the mixture to thicken and become creamy. Add the creamy mixture into the crock pot. Stir to combine well. Add additional water or milk if the consistency is too thick. Season with salt and pepper to your preference. 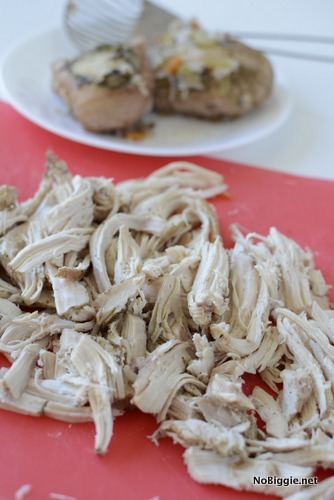 Following the directions above, once the chicken is fully cooked you will take it out of the crock pot and shred it with two forks, then you’ll add it back into the crock pot. Finish off by adding the roux mixture into the crock pot and stir it in well. Be sure to season to taste. Oh it’s a good soup! I think your family is going to love it! What is wild rice blend and where can you get it? I have wild rice, but it’s all black. Your photo shows some white rice. I’m not really sure what types of rice are in the blend, I just found it at the store. Ask your grocer to help you find a mix package. The blend usually has a few different types of rice with a little seasoning. You could easily sub for the plain wild rice and some chicken boullion. I can’t wait to try this recipe! 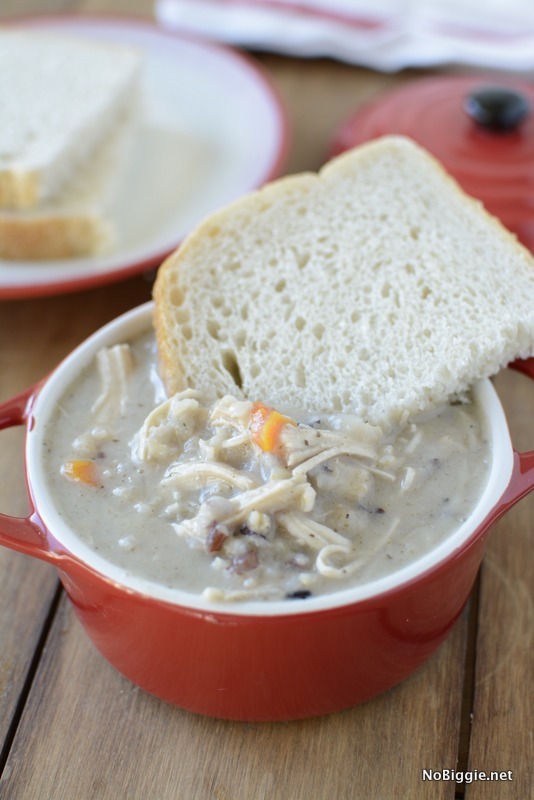 I want to make the creamy chicken soup in my crock pot. It calls for two tablespoons of poultry seasoning. Is this a misprint? I don’t use this seasoning often but it seams like a lot. Hi Marilee! This is not a misprint. It adds a great flavor to the chicken. It’s a good seasoning to have. This soup was delicious! Does it freeze well? Great recipe! I made a few adjustments due to my pantry- but turned out great. I used Zatarans Wild rice mix and left out the poultry seasoning( since I did not have that seasoning) the rice mix had s great seasoning in the mix and I did add 1/4 teas sage and 1/4 teas ground thyme just in case. I actually forgot the onion. My family loved it. Nice big pot of soup with enough for leftovers.